Typography is a fundamental element of design. Whether you’re creating print materials, designing websites from scratch, or working with WordPress and themes–understanding the basics will take you a long way. That’s why in today’s post I’ve compiled fifteen essential typography books that will help anyone from design novice to expert improve their craft. 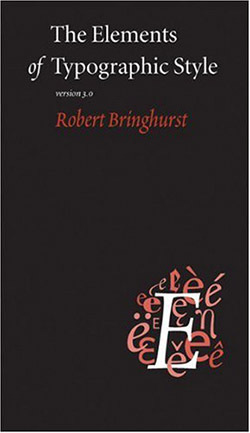 This book is the ultimate handbook for graphic artists by poet and typographer Robert Bringhurst. This style guide combines the practical, theoretical, and historical to create a resource that any designer will find useful. First published in 1931 this timeless essay on typography is an absolute essential for any designer working in print or on the web. 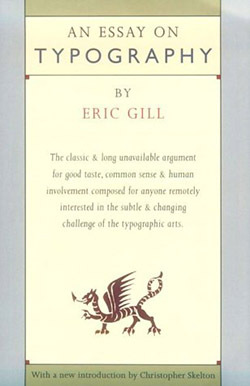 It’s author, Eric Gill, was born in 1882 and became a letter carving craftsman. 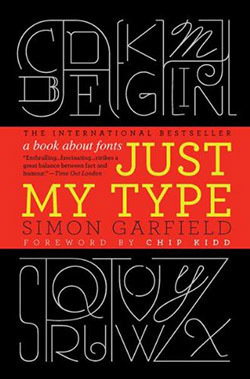 This book contains his hard-won wisdom on the topics of typography and design. Design is all about the choices you make with the space and elements you’ve got to work with. 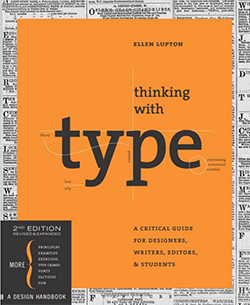 Thinking with Type by author Ellen Lupton is a book for everyone who works with words and layouts. Teaching you to think in terms of typographic design. 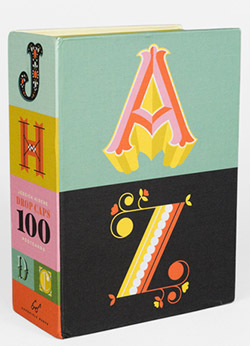 A must have for any designer’s library. 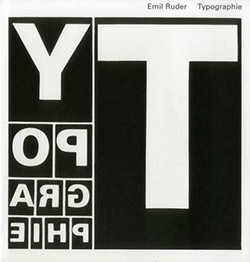 Author Email Ruder’s Typographie: A Manual of Design (now in its sixth printing) is considered a timeless textbook of design from which generations of designers have learned their fundamentals. If you’re looking to get just a small number of books on this list, this should probably be one of them. One of the most consistent and tricky problems a designer must confront is pairing typefaces. 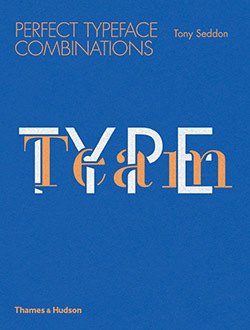 In this book by author Tony Seddon provides the techniques designers need in order to get the right type combination every time. 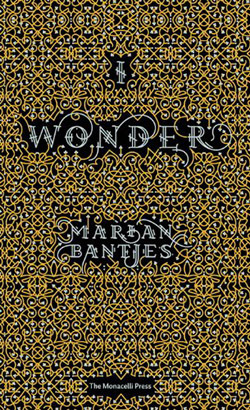 In this book author Marian Bantjes writes and illuminates an insightful collection of observations on visual culture and design. In doing so providing a resource whose very execution teaches just as much as the content itself. This typography book goes beyond the merely historical, technical, or even stylistic to examine an interesting and introspective question: what does my favorite font say about me? A great book for gaining design knowledge while also achieving greater self-awareness. This could also help you better match client personalities to a typography that best expresses their brand. 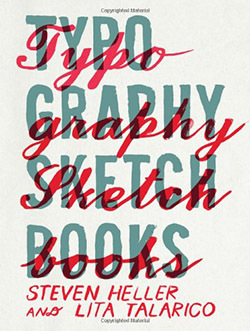 In this book author Steven Heller showcases typefaces that resemble handwriting from the nineteenth to mid-twentieth century. 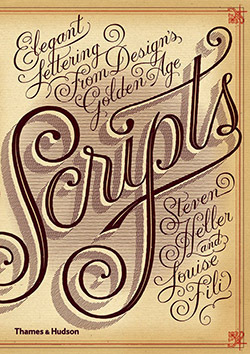 Or what he calls Design’s Golden Age of Script Typography. This book is a great resource for scripts that range from classic to eccentric. 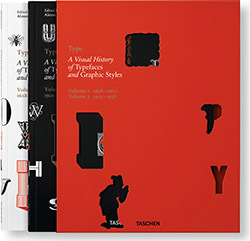 This two volume set from Taschen by author Alston W. Purvis is a brilliant history of typefaces and graphical styles ranging from 1628 to 1938. I personally own these books so I can vouch for how amazing these volumes are. One of my favorite features is the keycards that come with each book to give you access to 2,400 high-resolution scans of type specimens. Author Tony Seddon examines one hundred landmark typographies to show how type has changed over time. This is a great resource for anyone who wants the ability to understand what dates a typographic choice in design. 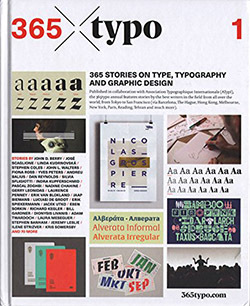 This book provides a broad perspective on the current state of Typography (published in 2015) through 365 stories about type, typography, and graphic design. All contributed by one hundred members of the international design community. This survey of typographic design showcases the thoughts and work of over one hundred contemporary designers. 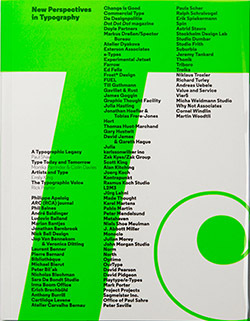 It includes both essays, images, and inspiration to help push your typographical boundaries. 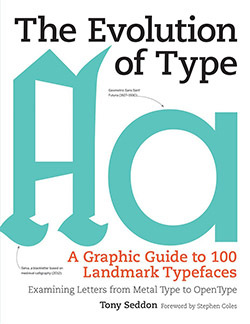 Edited by Steven Heller and Talarico Lita, this book provides you a rare glimpse into the minds of designers who create typefaces. A great source of both inspiration and instruction. 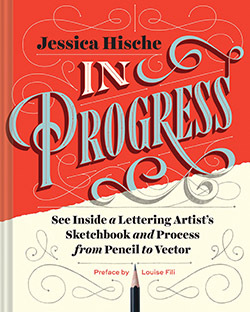 In this book author and artist Jessica Hische treats readers to a behind the scenes look at her hand-lettering process from pencil to vector. This particular strain of typography craft may not be for everyone, but for those who possess or develop the knack it can go a long way towards elevating the quality and uniqueness of your designs. This fun book is by the same author and artist as In Progress above; Jessica Hische. In addition to showcasing some stellar examples of hand-drawn lettering it also doubles as one hundred literal postcards that you can actually use. Paired with her other book it can function as a wellspring of inspiration as well as fun little mailers to send out to clients or colleagues. Here’s to Becoming Better Designers! With products like Divi we’ve made it technically possible for anyone to create stunning WordPress websites. But regardless of how much of the developmental heavy lifting we remove via our builder, we can’t package good design taste or skill in a product. That remains something everyone still needs to learn for themselves. But we can help! That’s why one of my goals for the Elegant Themes blog moving forward is that in addition to being one of the best WordPress resources on the web, that it also become one of the best design resources on the web too. Posts like this one, our recent post on web design books, and many more to come should help us all improve our design craft in the months and years ahead. Are there other areas of design you’d like to improve in? Let us know in the comments below! Sorry but this post is just a big waste of time. Rather than a list of books, how about a list of great typography web sites? Why would I buy books when the info is already out there? Obviously I disagree that it’s a waste of time, but I understand the desire for quick and free resources on the web. If that’s what you’re looking for, here is a great place to start–https://www.typewolf.com/guides. The reason I like to promote books is because when you look for stuff online and when you consume things in bits and pieces you often miss out on the depth that books have to offer. Particularly when those books are written by much higher caliber of artists and thinkers than you are likely to find keeping up a free blog. In the case of the books above that might be categorized as “inspiration” I personally am a big fan of having reference material that is always on hand and not on a screen. Sometimes to do their best thinking some people need to step away from their computers and the distractions that come with it to wrap their head around a project. A book is a great way to focus your mind on one topic. If you are a novice designer without a professional design background I would also highly recommend “The Non-Designer’s Design Book, Design and typographic principles for the visual novice” from Robin Williams. It covers the nuts and bolts to good design without to much theory and will improve your designing skills immediately. Thanks Johan. I tried to stick to typography in this post but I think being as widely read within your speciality is a great piece of advice. Great Blog as always Nathan. As far as it goes to Ron’s comment “being a waste of time” …personally i like to sit back and read a good book..When your a designer sitting at a computer hours on end each day. Its nice to just get away from it and have some peace from the digital world. I am a publisher of regional books in France (for whom I also manage some sites, primarily using Divi). I always think it is a good idea to come back to the basics. There would be no web without books! And looking at examples of typography on a printed page is not the same experience as looking at them on a screen, both visually and mentally. I love web site design but I’m also keen on good book design, and the web can still learn a thing or two from books. I therefore really do appreciate the subject of this blog, which overlaps into numerous creative areas. A big thanks for pointing out all of these resources that I was unaware of. No problem, John! Glad you enjoyed the post. I am not an artist, designer, or typographer. But I did subscribe to U&lc (back when dinosaurs roamed the earth) and am sitting here daydreaming about being and wishing I was a multi-millionaire, so that I could have enough time to look through these books. I may check one or two out of the library. I have a rule for myself: read 20 pages every day. This is something most people can do quite easily. It takes about 30 minutes or two sessions of 15 minutes each. I find that on the days when I’m really pressed for time I can push through and meet my goal. But more often than not I have more time than I think I do and I can allow myself to get caught up in whatever I’m reading for a bit longer. You can go through a lot of books this way–whether you get them from the library or buy them. Thanks for the great post, Nathan!! A wealth of inspiration. I value having an in-depth understanding of your craft to help you become a better designer. Best! Thank you Nathan! Essential to creating great design!